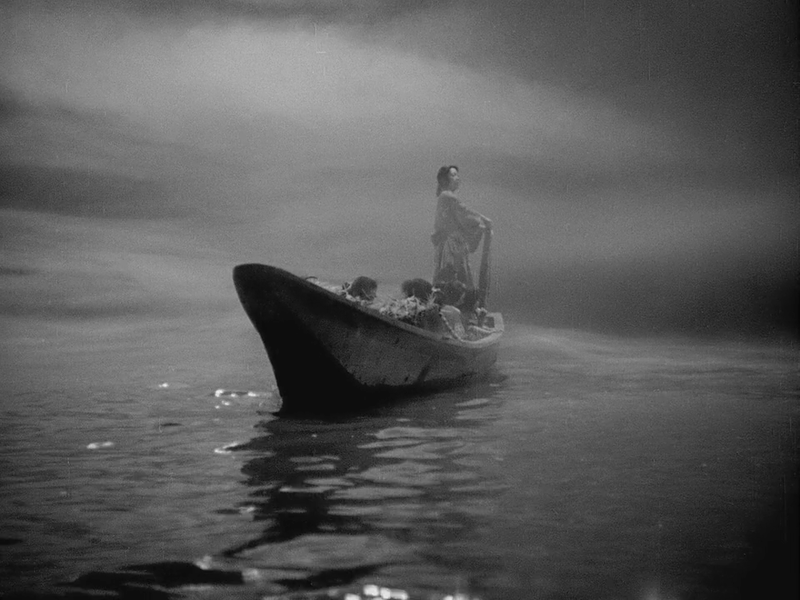 Ugetsu Monogatari (1953, Japan) – Mizoguchi lays out this traditional 16th century ghost tale like an ancient scroll. A Man Escaped (1956, France) – A seemingly simple prison escape film, but every element is carefully crafted. Lawrence of Arabia (1962) – I was prepared to be bored, but the cinematography and more importantly the international and personal politics of this WWI true story were quite gripping. 8 1/2 (1963, Italy) – Fellini’s autobiographical hopes, dreams, and worries. 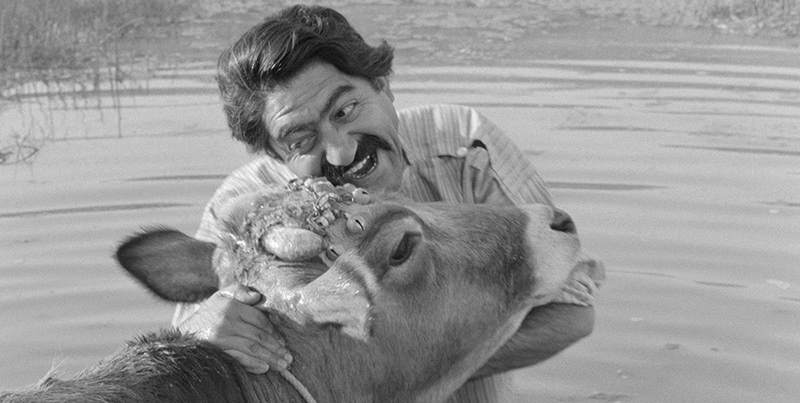 Gaav (The Cow, 1969, Iran) – A fable about a man in a small village whose beloved cow dies. The Spirit of the Beehive (1973, Spain) – One of those films that has such a unique pathos that it’s nearly impossible to summarize in just a few words. A child’s response to Frankenstein. Compare to Pan’s Labyrinth. Network (1976) – Satirical take on the TV news industry. Not much has changed. Brilliant performances by all. Mad Max (1979) – You should know the basic idea on this one: gritty, unique, fast-paced, and great sound & visual design. A Nightmare on Elm Street (1984) – So many iconic elements in this film. I love Freddy’s theme music – Wes Craven 80s music gold. Europa Europa (1990, Poland) – Dark humor, based on a true story about a Jewish orphan who becomes a part of the Hitler Youth. The Big Lebowski (1998)* – Bowling, Dudeism, classic music. All About My Mother (1999, Spain) – Totally engrossing film about love, loss, and caring for one another. 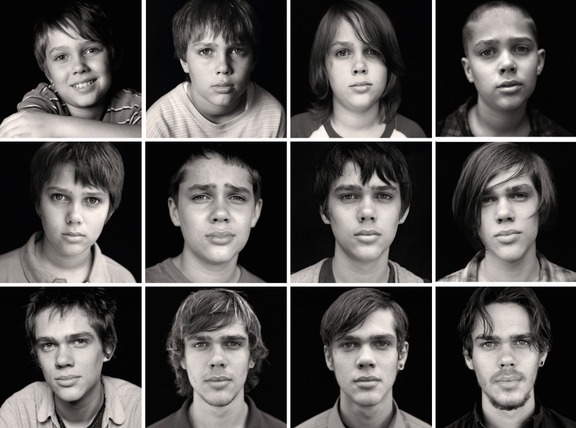 Boyhood (2014)* – Director Richard Linklater explores a common theme in all of his movies: time. This one required a 12 year commitment for the entire cast (particularly noticeable is the young boy who goes from age 6 to 18), collapsed into 165 minutes. A first in cinematic history, but also a captivating story about how society and families change over the years. In last year’s roundup, I mentioned that I had watched 110 movies on the list from October 2013 to October 2014. I’ve watched about 50 this year. It’s getting harder to find films on the list (a) that I have an interest in seeing and (b) that are available in high definition. I’ve about run out of the ones I want to see that are currently streaming on Netflix; Louisville’s beloved Wild and Woolly Video store closed in late March; and the Louisville Library does not carry Blu-rays. Below is a simplified spreadsheet of the films from the past two years, or you can download my entire spreadsheet xlsx file which includes a “Favs from 1001 book” tab (details in my movie spreadsheet post). I think I’ll do a post soon about movies I love that are NOT in the 1001 Movies, like Virunga, The Babadook, Before Midnight, The Innocents, Paris Is Burning, and The Holy Mountain. * Films I’d seen before last November but revisited in 2015. ← What is same love?